Karl Lagerfeld will be cremated without ceremony and his ashes are likely to be scattered with those of his mother and lover, his label said Wednesday. 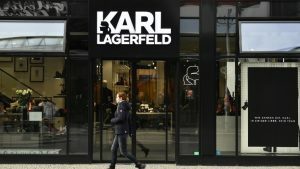 “His wishes will be respected,” a spokeswoman for his Karl Lagerfeld brand told AFP a day after the legendary designer died at the age of 85. The “Kaiser” — who was known for his rapier wit — had long insisted that he would “rather die” than be buried. “I’ve asked to be cremated and for my ashes to dispersed with those of my mother… and those of Choupette (his cat), if she dies before me,” he said in one of his last major interviews. Lagerfeld had previously said that his ashes would be mixed with those of his longtime lover, the French dandy Jacques de Bascher, who died of AIDS in 1989. He told de Bascher’s biographer Marie Ottavi that he had kept half of his ashes so they be together again at the end. The German-born creator had put them away “somewhere secret. One day they will be added to mine,” he told Ottavi. Lagerfeld fell for the dashing de Bascher when he was 19 and looked after him until his death at 38. This was despite de Bascher, a notoriously philandering party animal, having an affair with Lagerfeld’s great rival Yves Saint Laurent. The other half of de Bascher’s ashes was given to his family, the French daily Le Monde reported Wednesday. Lagerfeld believed that burial “was horrible. I just want to disappear like the animals in the virgin forest. It is awful to encumber people with your remains,” he told a French television in 2015. Nor did he want to be mourned at a grandiose funeral like the one France granted its rock legend Johnny Hallyday in 2017. The deluge of tributes to the workaholic designer — the most prolific of the last century — continued Wednesday as fans left white roses outside Chanel’s main Paris boutique. US Vogue’s editor-in-chief Anna Wintour called Lagerfeld “a giant among men”. “Karl was brilliant, he was wicked, he was funny, he was generous beyond measure, and he was deeply kind. I will miss him so very much,” she added. His absence is likely to dominate Paris women’s fashion week, which begins Monday. Chanel, now led by his friend and former studio chief Virginie Viard, who stepped into his shoes as creative director on Tuesday, will unveil its autumn winter ready-to-wear collection on March 5, the last day of the shows. The post Designer Karl Lagerfeld to be cremated without ceremony appeared first on SABC News – Breaking news, special reports, world, business, sport coverage of all South African current events. Africa's news leader..